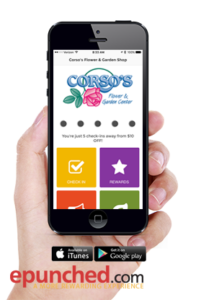 We’re excited at the results of an app we developed for the 2016 Connecticut Flower Show. 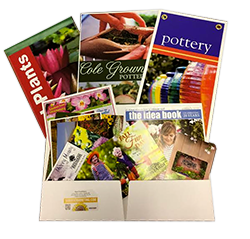 Designed as a ‘treasure hunt’ users were instructed to download the free app, check in at designated locations, and after 10 check ins they would be entered in the Grand Prize of $1000 in free plants from Connecticut Nursery Prides Corner Farms. Over the four days of the show there were 828 downloads.We used a new technology from Branch.io that we added to a website page that loaded on an iPad. We set up a kiosk that allowed visitors to enter their cell phone number. This generated a text message with a link that led them to either iTunes or Google Play. We attached Kontakt beacons to the 23 check in here signs that we distributed at landscape exhibits and select retailers. Using beacons users just placed their phone in close proximity to the sign (2″ to 12″) and this triggered checked in and the user got a ‘punch’. For older Android phones a simple four digit PIN was used. When they collected 10 ‘punches’ it generated an ‘enter to win’ reward and they were entered in the main giveaway. With a median age of 40-55 there was remarkable adoption. Working directly with attendees over the four days we were able to watch as visitors downloaded and used the app. They were genuinely excited to see how the technology worked. Which is good news for retailers as it’s no surprise that the demographics of the show audience matched those of our garden center clients. While many will doubt the fact that seniors are slow to adopt to technology we found that if the benefit was obvious they figured it out quite quickly. 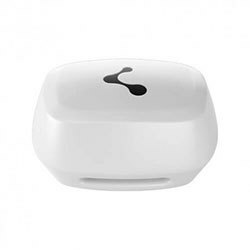 We also deployed a few beacons in displays and landscaped gardens. It was a great way to show how we plan to use this technology in public gardens as well as displays at the retail level. For visitors the experience was like magic. Since we can measure beacon traffic with perfect accuracy we were able to track over 6000 beacon hits over the four days. This is a great tool and we see the potential for this type of application in a wide variety of shows. Overall it was a great four days at the Connecticut Convention Center. The feedback was great and people seemed genuinely excited to use the app. We are looking forward to expanding the experience for 2017. Please contact us so we can show you how this technology can help you grow your business.